Absence review allows an Analysis of the Rolls for the days in a specific week and modification of absence status for each period if required. 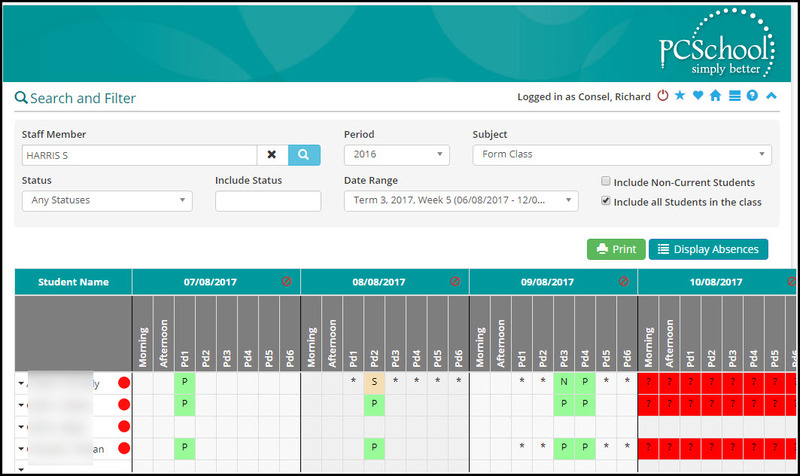 Select a Date Range and this will generate the days and their periods for the selected week. Status can be changed in this report view this will change the status in the Roll and Absence view. This report can be printed. To use this control the staff member is required to have the necessary security rights. For full details on how to use the Absence Review in the PCSchool Spider click here.